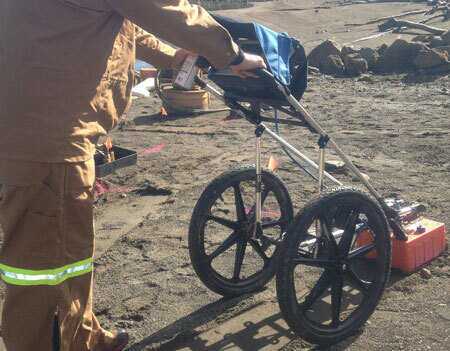 Cement Scan Ground Penetrating Radar: We use GSSI Systems GPR, the one you see being used on TV. We consider GSSI to be the best and use 400 frequency antennas for utilities and 270 frequency antennas for deeper pipes, foundations and disturbances. 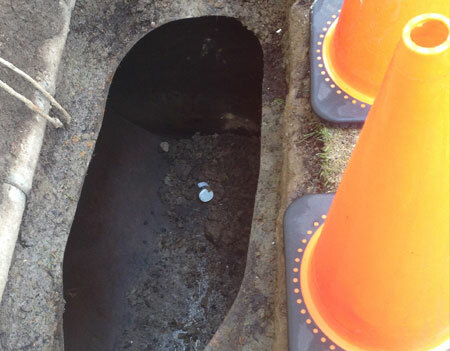 Yes, we can see underground where things have been dug out fifty years ago. It's amazing what you can see with our field GPR unit. 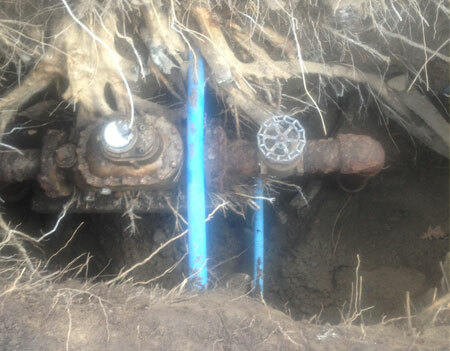 Things like drain fields, undereground storage tanks, old foundations, excavations, PVC pipe, and more! Call and see if this will work for your needs. We at Locates Down Under Inc have cement scan capabilities that can get into tight spaces. We can scan walls, floors, and even scan the ceiling if needed. Our system packs a punch and can do 2d and 3d scans. 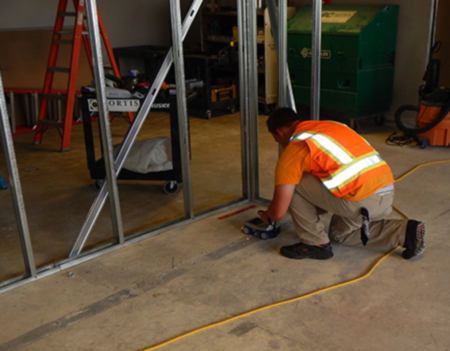 We use a small portable hand held one-piece design with no cords to limit you and allowing us to get into tight spaces, walls, floors, and even scan the ceiling if needed. Just get us there. It may be small but it packs a punch, from 2d to 3d scans. The 3d scan is amazing. We can do a one by one foot, two by two and two foot or a 2 by three ft 3d scans in two inch grid scans allowing us to see and locate rebar and utilitiies far more clearly than other brands. We can even slice the scans with one inch increments up to 16 inches deep. We literally can see post tension with rebar metal mesh and in a one by one foot area staggered through 12 inches of cement. We can also change the color and resolution in real time: Rebar, post tension, electrical, PVC pipe and more. We also have been involved in finding brick walls that have not been filled properly with cement so before you drill, cut or sign off on the job, get a cement scan. Call and ask for details and limitations. We will also back up our locates with low frequncy at ground level and 60 cycle, not to mention push cameras and rodders. 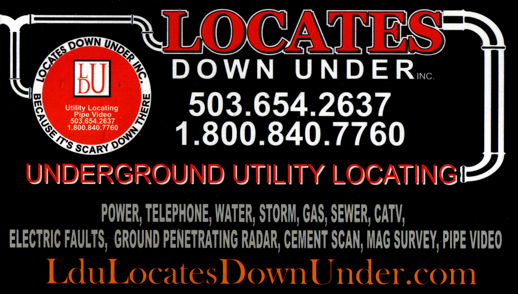 We'll do whatever it takes to find any all utilities in the area of concern.